Accelerating transformation to a Digital Supply Chain is an enormous challenge for every company. The transformation needs to go faster because other companies are also transforming to meet market demands. Your ability to create happy customers is only as good as your understanding of what your customer wants and when they want it. Supply chain, manufacturing, marketing and product development need to become one. Getting there first really matters – the companies that figure out how to increase the speed of their transformation will win. There are specific actions you can take to accelerate your transformation – to become a catalyst for change. The Digital Supply Chain is here. It is not going away. Platform business models are showing up in industry after industry. The line between B2B and B2C is blurring. Companies that sold products are now selling subscription services, or even guaranteed performance. Several companies we talk to now have “digital transformation” departments. There are several key considerations in transforming your supply chain to a Digital Supply Chain. First and foremost is understanding your direct customer and the end consumer in a more sophisticated way by utilizing data analytics, algorithms, and advanced technologies. Production will be driven by consumer demand, personalization and not manufacturing efficiencies. This will lead to improved inventory management while better meeting consumer needs. Instead of being a back-office function, supply chain will move into an integrated role alongside sales, marketing and product development in the stimulation of demand. This will require an increase in collaboration both internally and with key supply chain partners. Data analytics and advanced technologies will enable companies to have greater visibility into supply chain risks and better prevent or mitigate negative impacts. 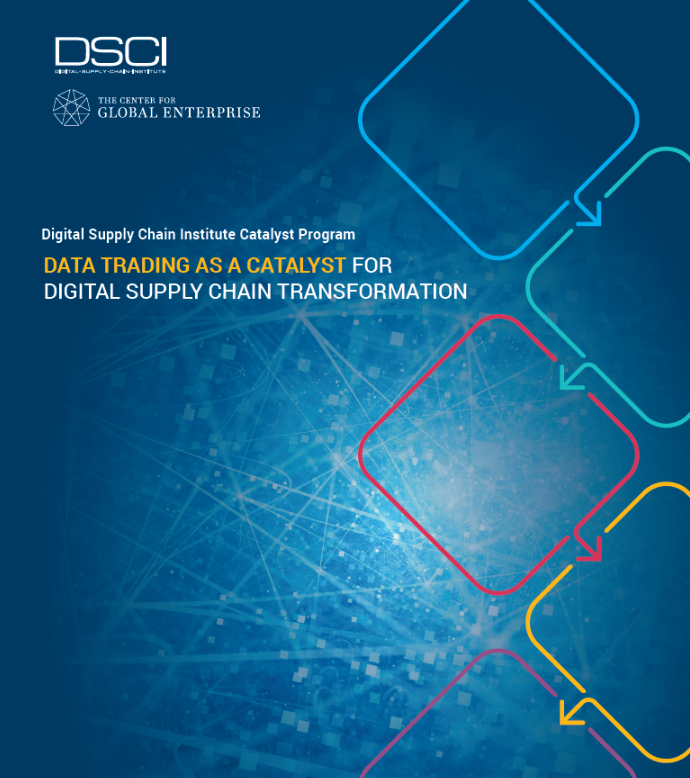 To transform to a Digital Supply Chain and reap the benefits companies will need to transform in four distinct, but interrelated areas: Demand, People, Technology and Risk. Therefore, DSCI has developed an action plan for how to accelerate your transformation with the "DSCI Catalyst Program". We will also introduce a unique new data trading framework to help you obtain the critical data you need.